They added that Blizzard employees would be posting by their real names on the forums as well. Now I'm not quite sure what pink and fluffy Internet that Blizzard use but I'm pretty sure it's not the same one I use. Just to clarify, anyone wanting to post on the Warcraft forums (including those needing technical support) would need to use their real name and address. This is possibly one of the stupidest ideas I've seen online in a long time, when all the sensible people are rightly becoming increasingly concerned with the lack of privacy and all the many risks it entails, Blizzard want everyone to throw out their real identity on a bloody Games Forum ! Notwithstanding the benefits being fairly minimal - making the Warcraft forums a little bit nicer is hardly that important - forcing users to throw out their real identities on the internet is utter madness. For some years I've been doing security lectures in local schools. The idea is to make sure the kids are careful online, are aware of the dangers, always use pseudonyms, never divulge personal information and stuff like that. Then one of the biggest online games manufacturers attempts to do this is frankly beyond belief. There are of course lots of people who are completely oblivious to the risks of divulging such information online, one such poster offered up his name on the Warcraft thread discussing this issue. He challenged anyone to find him by just using this information. The result was not surprising, 20 minutes later he was called at his work telephone number -by a Warcraft player asking for Sikketh from Thunderlord. Someone had tracked down his full address, work and personal telephone number and parents names in just under 20 minutes. It is of course very simple to track most people down who have any sort of online presence, the above sleuth work was achieved by using primarily Facebook and Twitter profiles. When you have a real name to start off with it becomes much, much simpler to find out such information about people. 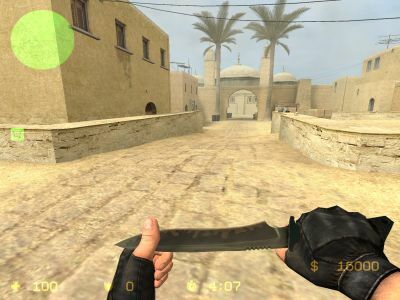 If anyone plays online games they will know it can be pretty annoying to get knifed in games like Counterstrike. It happens to me a lot partly because my reaction speeds have dropped dramatically as I get older but mostly because I'm just not very good at them. But some people don't handle this virtual death as well as others - Julian Barreaux for instance. He had a knife fight and lost in a game of Counterstrike Source, but Julian didn't take this very well at all. In fact he spent the next six months tracking down the player he lost to - finally locating him in a town only a few miles from his own, a couple of hours North of Paris. After locating the unfortunate gamer, Monsieur Barreaux armed himself with a large kitchen knife and visited his fellow gamer at his home. When the poor chap opened the door, Julian Barreaux stabbed him in the chest missing his heart by inches. He was extremely lucky to be alive, he was attacked simply for winning an online fight in a game. Amazingly Barreaux was given only a two year sentence so he will probably have his liberty again next year and will probably be back online. Makes you think twice about picking off that sucker ten times in a row with your sniper rifle when there are nutters like him around ! Now of course, I do realise these are extreme cases, but it shows how incredibly easy it is for anyone to track down people across the internet just using online information which is available to anyone. Of course our Governments, agencies and Identity Thieves know much much more about including just about everything we do online as well as our names and addresses. They don't need our names and addresses as they already have them, but that's no reason to let everyone know them. Privacy and the ability to surf safely and anonymously is one of the most important issues on the internet today. We still use a protocol (HTTP) that has no security built in at all and is essentially a clear text method of communicating. 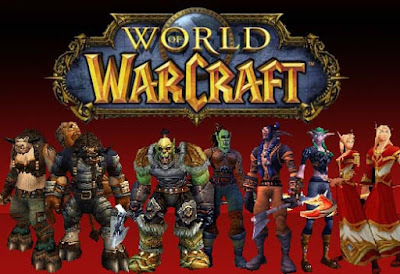 But happily there is at least a happy ending to the madness of the Warcraft forums - Blizzard completely overwhelmed by the outrage of its player base have backed down and scrapped their brilliant idea, you can still post anonymously on the Warcraft forums. Of course we all know that you can't really but at least you don't have to hand over your name and address so openly !